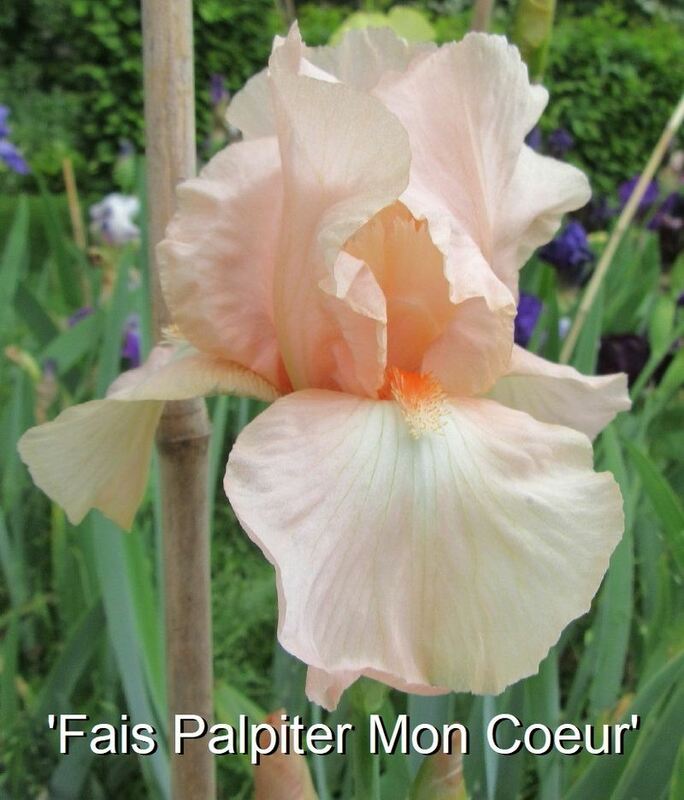 'Fais Palpiter Mon Cœur' (Loïc Tasquier, R. 2017). Seedling i315A. BB, 27" (69 cm), M S. light red-pink; style arms light salmon-pink; F. light red-pink, white zone around beard, very thin chartreuse veins; beards orange in throat, white tipped orange in middle; ends white. E067C: B268B: ('Foxy Lady' x 'Midsummer's Eve') x 'Coral Caper') X E512: ('I Seek You' x 'Smash'). Iris Loïc Tasquier 2018.